Publicity is an important tool for speakers because PR LEADS to profits. Getting publicity can set you apart from your competitors. Publicity can give you the visibility you need to attract new prospects and also get the credibility you need to make selling easier. However, getting quoted in the media has never been an easy task. There's a lot of competition from other speaker, authors and experts. Fortunately, you will learn how to tilt the odds in your favor with proven media tactics that you can implement yourself, without hiring an expensive PR firm. Youll also learn how to get your press releases printed on many web sites from leading media publications, like Forbes.com, Foxbusiness.com, CNBC.com and many city business journals, plus dozens of other websites with sizable audiences. USA Today called Dan Janal a true cyberspace pioneer because he wrote one of the first three books ever written about Internet marketing way back in 1994. The Los Angeles Times called Dan Janal an internet marketing expert because he consulted with companies like IBM, American Express and the Readers Digest. But you probably know Dan from his pioneering work in helping literally thousands of speakers, authors, coaches and consultants get publicity to help build their careers with his company, PR LEADS.com. Dan has expanded the companys services to include press release writing and distribution as well as coaching and consulting. Through his advice and guidance, his clients have been featured in nearly every major newspaper and magazine including the New York Times, Forbes, Fox Business and the Wall Street Journal. You might not know that Dan has been an in-demand speaker who has lectured everywhere from Beijing to Budapest, as well as across the U.S., Canada, Mexico and Brazil. Hes even taught at Berkeley and Stanford. Dan has written six books for John Wiley & Sons and those books have been translated into six languages. Hes working on a new book about how to use the Internet for referrals so you can get new business. Dan believes that publicity and marketing should be about getting results. 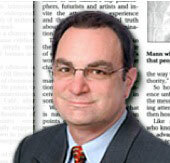 Dan brings more than 25 years of public relations experience and expertise to you today. He was on the PR team that launched AOL. He was also involved in the launch of the CD-ROM player, GPS technology and the beginnings of the personal computer revolution.